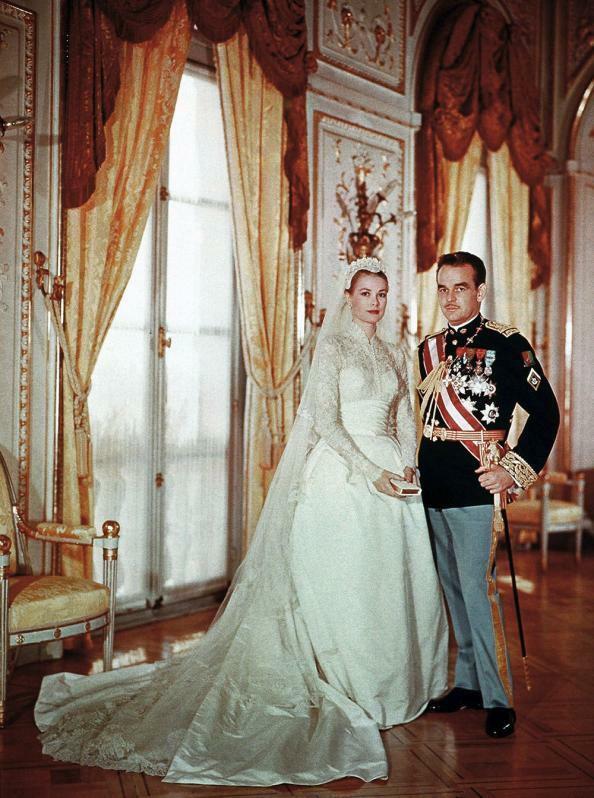 Welcome to the Third Wonderful Grace Kelly Blogathon, hosted by the Wonderful World of Cinema! Kelly met with Dory Schary, then head of production at MGM, and proposed the idea of making a film version of The Swan, with her reprising her television role. Schary said he would think about it and, shortly afterwards, presented the project to her agent, Jay Kanter, as if it were his own idea. In April 1955, Kelly signed the renewal of her option papers and agreed to return to Metro for The Swan, scheduled for production that autumn. Kelly found that she had a deep understanding of Alexandra — “a woman I thought I really had under my skin,” as she later said. Kelly and Jourdan don’t sing but they do dance and fence. 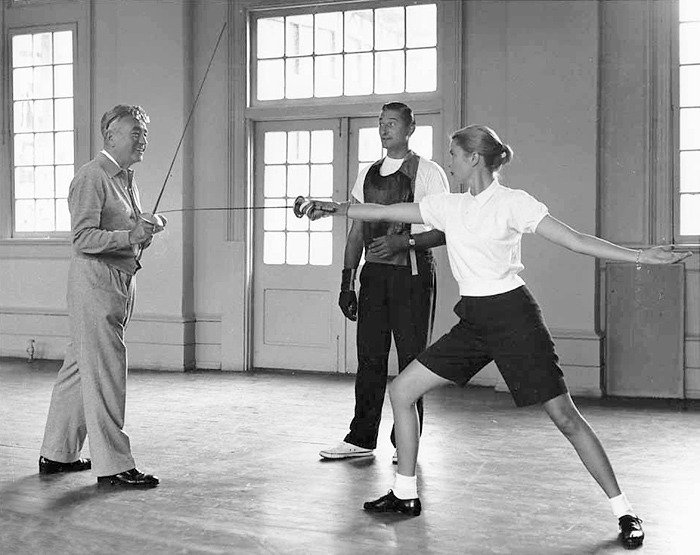 Grace Kelly practices fencing with Director Charles Vidor as fencing master Jean Heremans looks on, just before the filming of MGM’s “The Swan” started. 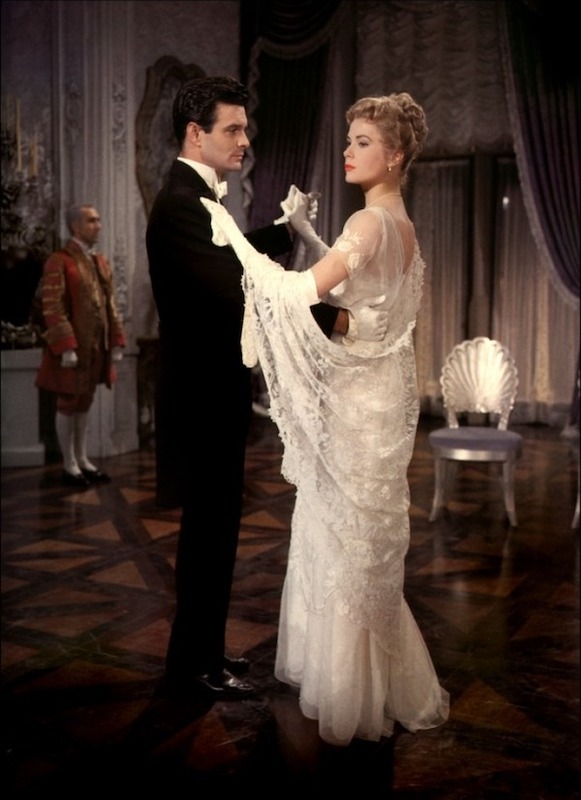 This entry was posted in Blogathon, Movies and tagged Alec Guiness, Charles Vidor, Grace Kelly, Grace Kelly Blogathon, Louis Jourdan by crimsonkay. Bookmark the permalink. Thanks again for hosting and sharing your thoughts. Yes, Albert takes a long time to warm up but he shines at the end. Though Grace Kelly is not my favorite actress, this is my favorite film of hers. She brings compassion and a real understanding of her character to the screen. I really think it is her most human character in all of her movies. Great to hear a vote of confidence for this lesser known film. Yes, her compassion shows. Thanks for checking in.